Today we woke up to over a foot of snow. 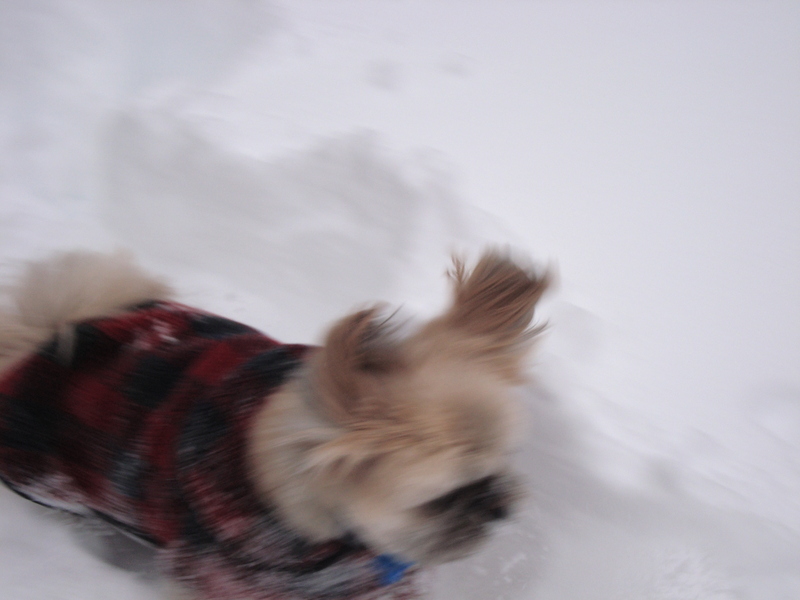 After Matt shoveled a path, we took Baxter in the yard to have a romp. 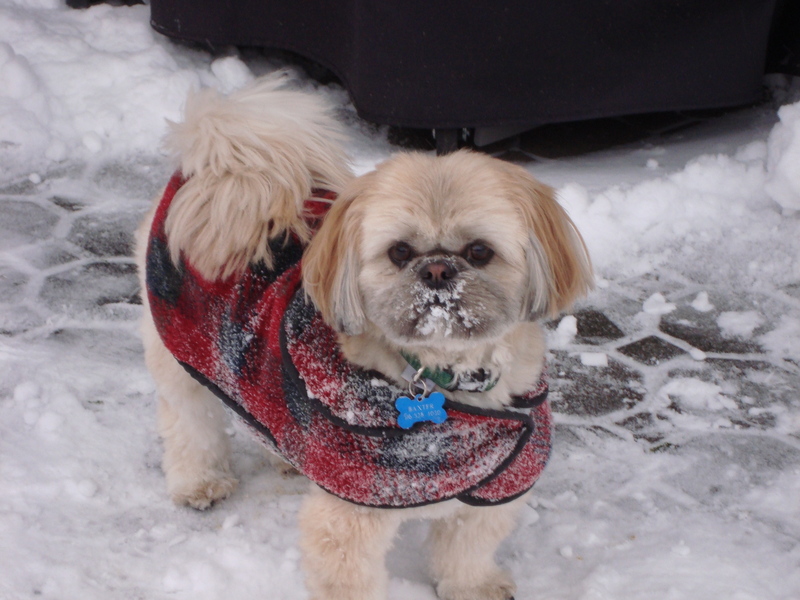 Even though Baxter loves the snow, it was really too high for him to play in so the fun was short-lived. 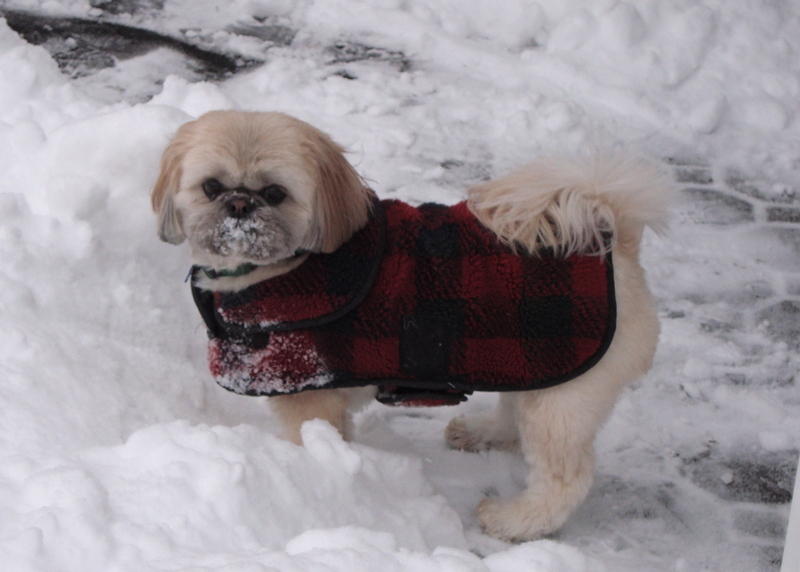 Does he look like he has a guilty look on his face? Well he does. 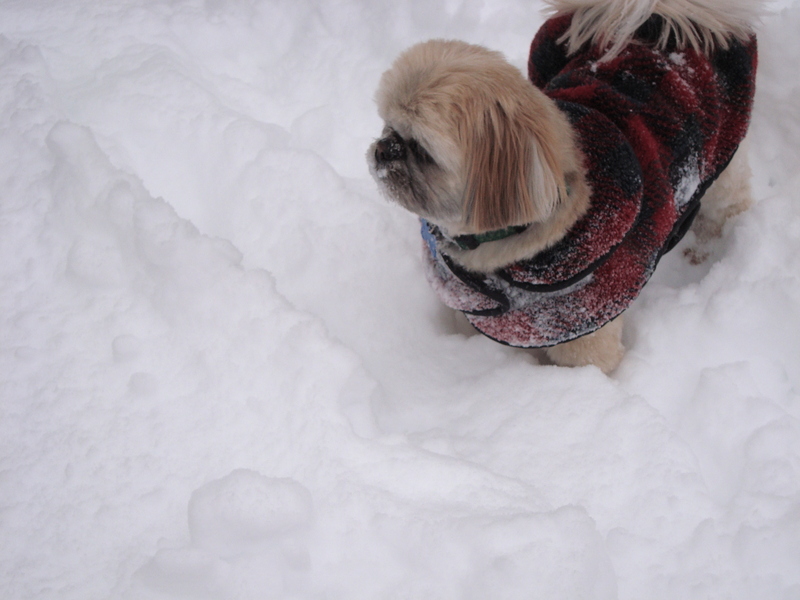 Baxter promptly did his business in the square dug out for him, and then he proceeded to pounce around in it. DISASTER!! Next > Am I awkward, or just anti-social?